With such hits as “That Old Black Hole,” “Lonesome” and “Shadow People,” this band really “pushes the envelope against the grain.” There is something that strikes a cord of remembrance in their music, leaving us feeling homesick. Like Proust’s Madeleine, their music brings a flood of childhood memories to our minds, taking us back to a simpler time. Mastering their art, the band takes these old school elements, and using musical chemistry, mixes them until the same old feeling that left us wanting to run back to our hipster houses, and call our neglected relatives, turns into a unique energy. Thus, combining the vintage with the 21st century, their songs come out sounding like a new national hipster anthem. Smoke in the air, our feet dangling from the library roof (somehow we always manage to get up there, slipping through security), we can see a hipster community forming on the grass below us. The Cal Day concert gives us a way to show our school pride, while not giving into the mainstream. 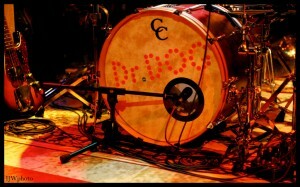 Dr. Dog promises to encourage this sense of community, giving us exactly what we came for. Hipsters don’t always like to be lonesome.